Wanted! New recruits for 2015! 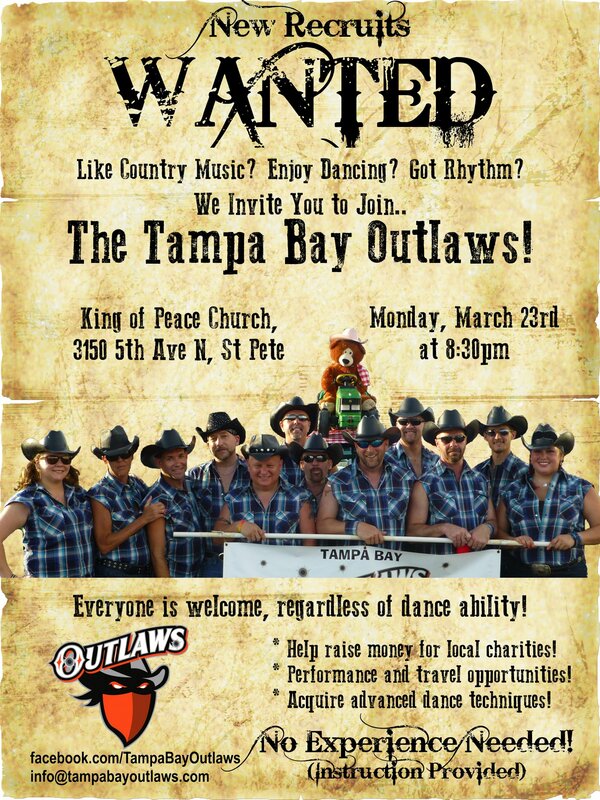 If you like country music, enjoy dancing and have rhythm, we invite you to join our award winning dance crew, The Tampa Bay Outlaws! Join us on Monday, March 23rd at 8:30pm at the King of Peace Church in St. Petersburg. The Tampa Bay Outlaws welcome new applicants at any time. However, most routines are limited to a set number of dancers. New applicants are always considered by the current team. We're currently looking for new members to fill all sorts of positions! Click here for more info!